If Peru is on your radar and you were about to just visit Machu Pichu it is time you look beyond. 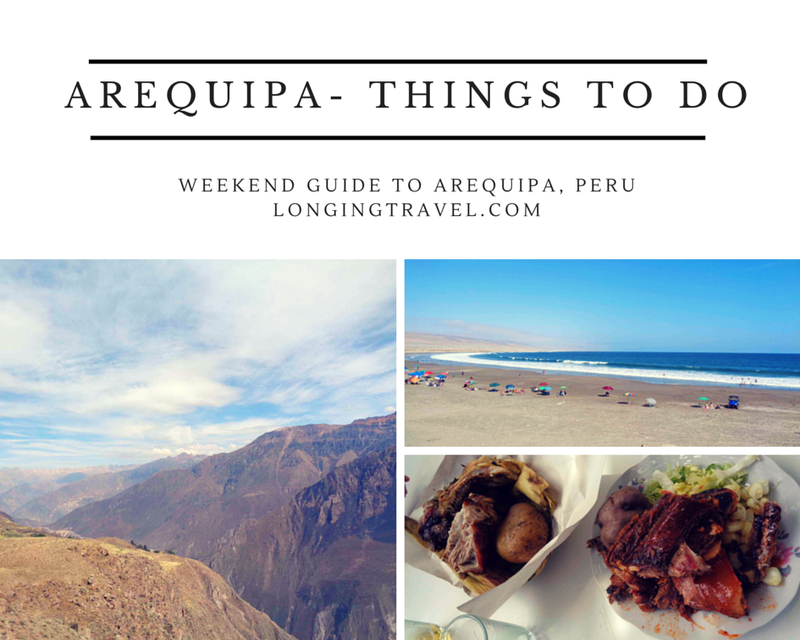 If you are already in Peru and are looking for a place to visit beyond the ruins our friends at Two Monkeys Travel Group suggest you look into Arequipa and make the white City a stop for your weekend adventures for a long weekend. 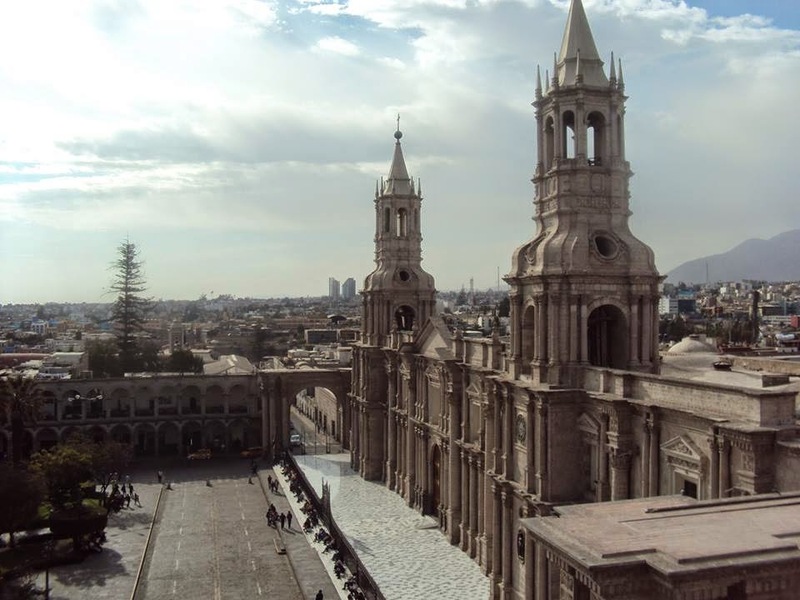 While Peru is best known for Machu Picchu, the Amazon and of course, llamas, you shouldn't miss out on a trip to its second largest city, Arequipa. Also known as the White City for the Sillar (white volcanic stone) buildings, the city is small enough to walk around most places and there is a strong sense of culture here. 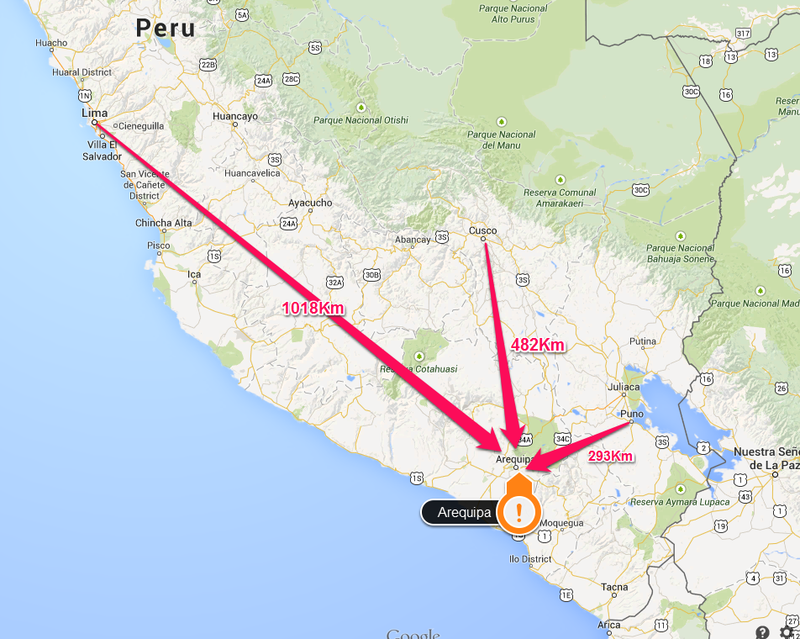 Arequipa has its own airport, so you can easily fly to or from here from Cusco to visit Machu Picchu. 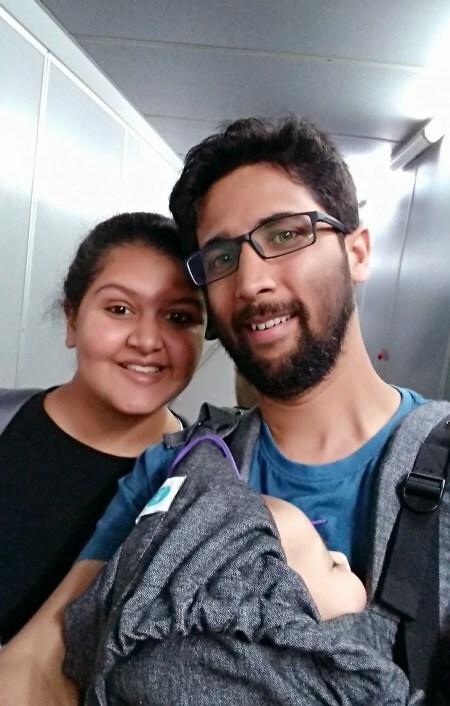 It’s also a great stopping point on the way to Chile, Brazil, Bolivia and Argentina, although there are plenty of attractions in the immediate area to keep you entertained. While driving to Arequipa from Lima can take up to 20 hours, Peru has a great private coach infrastructure, with luxury ‘flat-bed’ seats available from ($40USD). If this seems a bit too long then you may want to invest a little extra in direct flights from Lima (1.5 hours), which start at around ($80USD). From Arequipa itself, it’s only a 3 hour minibus ride to Colca Canyon, the second deepest canyon in the world, where you can enjoy trekking to a desert oasis and relaxing in volcanic hot springs. It’s the same distance to the coast where you’ll find Pacific waves, beautiful beaches and delicious seafood. About five hours inland will land you in Puno, situated on the shores of Lake Titicaca, the highest navigable lake in the world at 3,812 metres above sea level. There are many tour companies offering a variety of trips from Arequipa, so there’s plenty to choose from. We’ve always had a great experience with Gloria from Arequipa Tours and they have always been reliable and professional. The Plaza de Armas – The original city centre with its twin-towered Cathedral taking pride of place at the head of the square, was named a UNESCO World Heritage Site in 2000. The unique blend of European-colonial, native-American and Baroque architectural styles give this city a truly enchanting atmosphere added to by the vaulted archways, thick stone walls and intricate decorations. The food - Arequipa boasts some of the best cuisine in South America, from Rocoto Relleno, Adobo and Ceviche to Camarones. Try the local food in the small Picanterias; local restaurants that usually serve a specific menu of great food, freshly cooked to order. If you step slightly outside of the tourist areas then you can have a two-course meal for as little as $2USD! The Ice Maiden – Visit the Museo Santuarios Andinos to see the Ice Maiden, aka Momia Juanita. This perfectly preserved mummy of a young girl is thought to have sacrificed in a ritual offering to the gods sometime between 1450 and 1480. Time Magazine named it as one of the World’s Top Ten Discoveries of all time. Molina de Sabandía (Sabandia Mill) – Spend an afternoon in the tranquillity of this beautifully-restored 17th Century Mill within walking distance or a short taxi from the city centre. Explore the old buildings and equipment or relax with a picnic in the shade of the Weeping Willows. Conversely, being historical city in a South American country, disability access is certainly not what some people may be accustomed to, for example the Europe of the US. Rough pavements, lack of handrails and steep, winding staircases are commonplace here, so be prepared to assist your elderly or less mobile travel companions.